A tribal leader Wednesday said he contacted the White House and met with North Dakota's senators in an effort to halt construction of a $3.8 billion, four-state oil pipeline that crosses the Missouri River near an American Indian reservation in southern North Dakota. 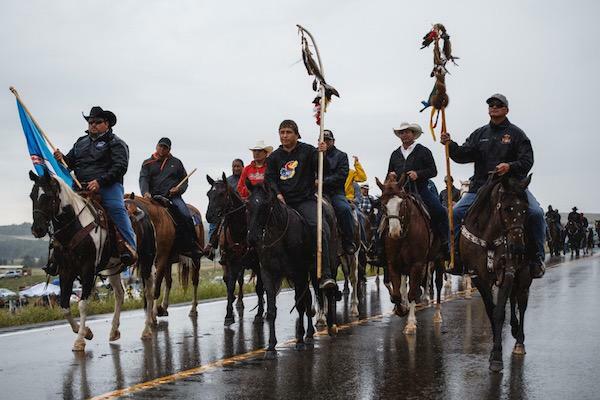 Standing Rock Sioux Tribal Chairman David Archambault II, in a teleconference with reporters, stressed that the he and the tribe are working to ensure peace among those protesting the Dakota Access pipeline. "There is no place for threats, violence or criminal activity," Archambault said. North Dakota transportation officials, meanwhile, closed a several-mile stretch of Highway 1806 on Wednesday because of the protest along the road. The 1,172-mile pipeline planned by Dallas-based Energy Transfer Partners is passing through the Dakotas and Iowa on its way to Illinois. 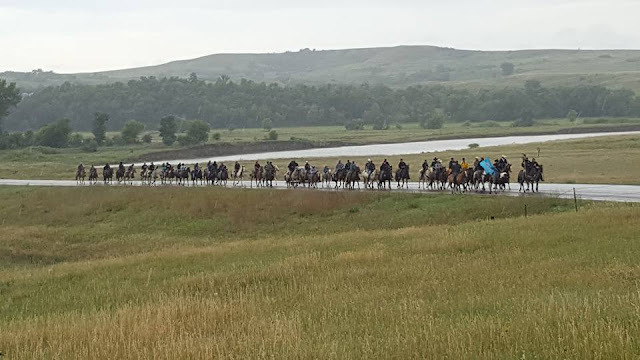 Construction crews with armed private security guards arrived last week just north of the Standing Rock Sioux reservation at the confluence of the Cannonball and Missouri rivers, where native Americans have been staging a protest for months at a "spirit camp." Archambault and more than two dozen others have been arrested in the past week for interfering with construction of the project. On Monday, developers of the project sued in federal court to stop protesters — including Archambault — from interfering with the project, alleging the safety of workers and law enforcement is at risk. U.S. District Court Judge Daniel Hovland granted the developer's motion for a temporary restraining order Tuesday. Archambault said he met Wednesday with North Dakota Sens. John Hoeven and Heidi Heitkamp to "express concerns" about the pipeline. 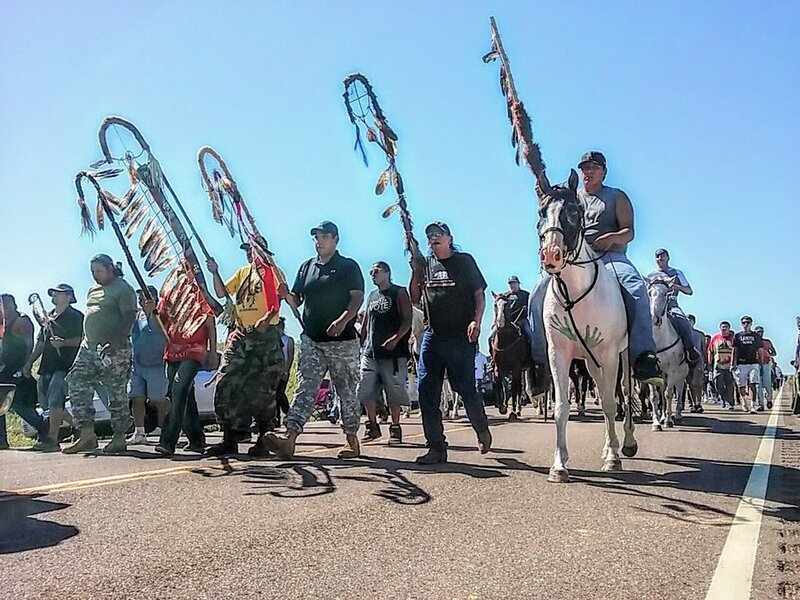 The tribe sued federal regulators late last month for approving the pipeline. 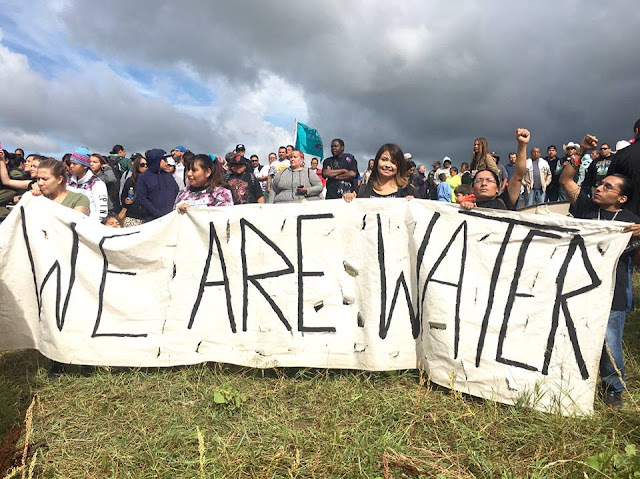 The tribe argues the pipeline would disturb sacred sites and affect drinking water for the thousands of residents on the reservation and the millions who rely on it downstream. Archambault told reporters he also has urged President Barack Obama to step in. The president and First Lady Michelle Obama traveled to the Standing Rock Indian Reservation in 2014 to get a firsthand look at the impoverished living conditions on the reservation that straddles the North Dakota-South Dakota border. Archambault said he asked nothing of the president then but is doing so now. "I believe both he and Michelle Obama were touched," Archambault said. "So now if there's any way he can intervene and move this pipeline off our treaty lands, I'm asking him." The White House did not immediately respond to emails seeking comment. Responses to "Tribal leader urges White House to stop pipeline on sacred Standing Rock Sioux Reservation"